I love how drop waisted dresses look on paper dolls, but lord knows I can’t wear them. Putting a line right across the widest part of my hips isn’t exactly my idea of a flattering look. Still, the wonderful thing about paper dolls is that they don’t complain, so I don’t have to worry about what they think about things. Emily Clarke Studio is a paper doll blog which I stumbled across recently. The artist is skillful and it updates regularly. She doesn’t just have paper dolls to play with, but also uses paper dolls as a occurring motif in her art which I think is pretty darn nifty. All in all, I’ve been impressed by her work and I enjoy her site. 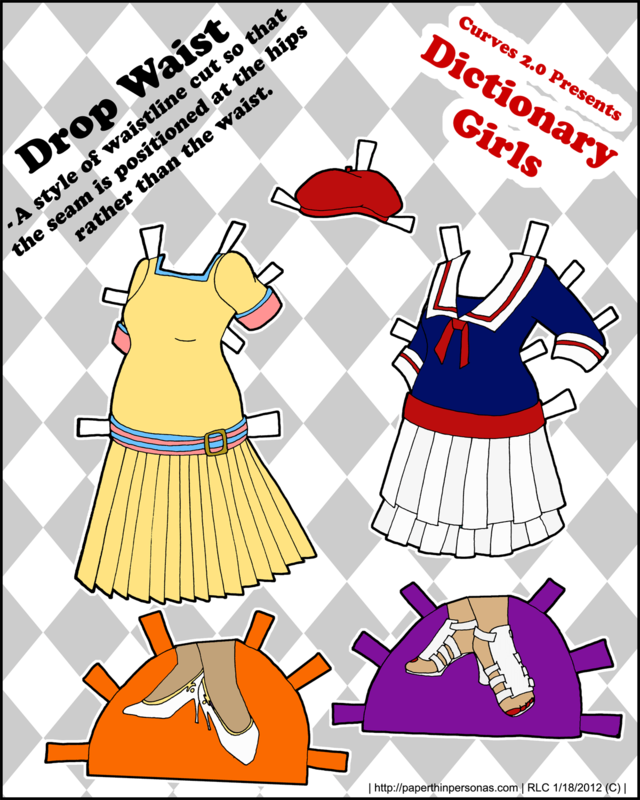 Others should check it out as well, though I confess I don’t know how printable her paper dolls are. So, unless some miracle happens, there won’t be a Friday post, because I have school things to be doing I’m afraid. Hopefully things will settle into a stable routine in the coming week or two and I’ll be able to actually get on a regular updating schedule. I love the sailor dress!